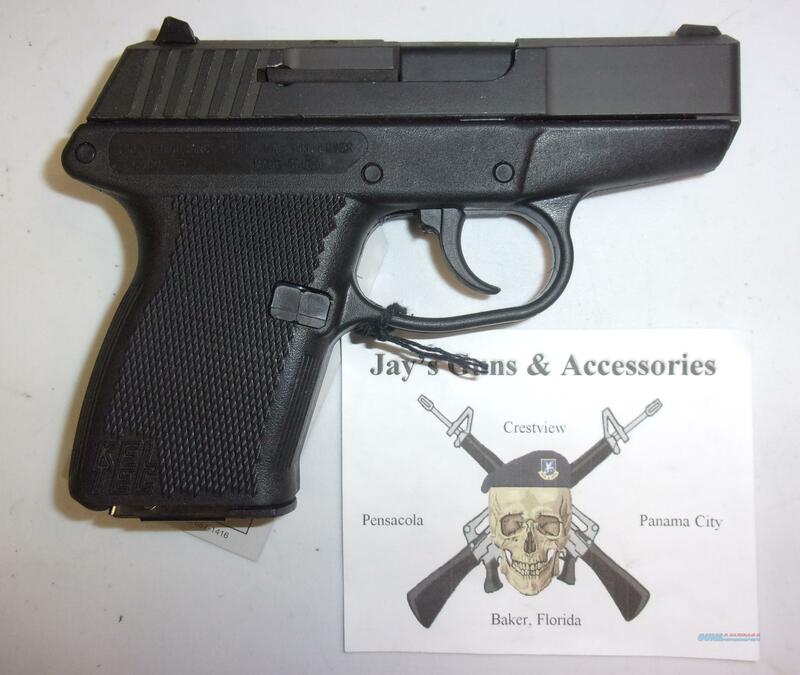 Description: This used (factory test fired only) Kel-Tec P-11 is a semi-automatic pistol which fires the 9mm round. It has a 3" barrel and parkerized finish. This includes 1 10-round magazine, hardcase, lock and manual.